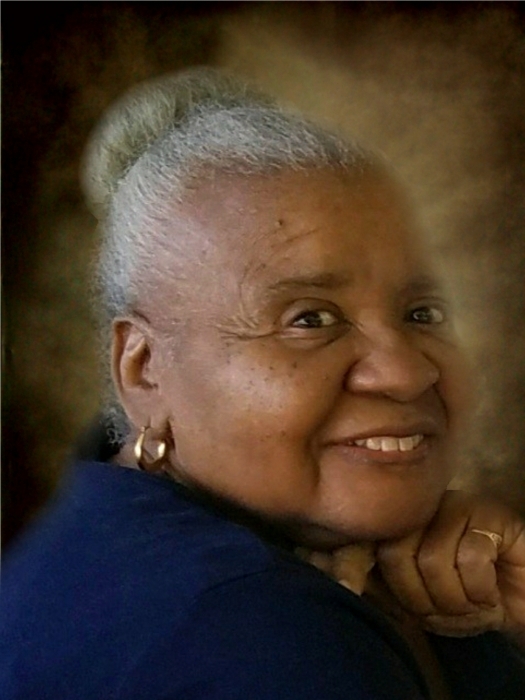 Patricia Hamlet transitioned home on November 23, 2018 in the company of her daughters, Angelique and Syreeta. She was born Patricia Adams on June 15, 1948 to the late John and Inez Adams in Brooklyn, NY. Patricia grew up surrounded by love and laughter as 6th of 12 siblings. She graduated from Washington Irving High School in Manhattan and went on to take business classes. Patricia began her career at JP Morgan Chase as a secretary and worked her way up to working at their branch on Wall Street. She later worked at HSBC as Account Analysis Manager. At the time of her retirement, Patricia worked as an Aide in an assisted living facility. Patricia loved to read from an early age. Patricia sang in the choir at First Baptist Church in Crown Heights. Growing up, her best friends were her sisters. Her childhood friend, Gerthrin Sheppard-Gwyn remained one of her closest friends. Patricia had a contagious smile and an ability to laugh that allowed strangers to quickly become part of the family. Patricia’s loving heart continued to expand her circle of close friends into adulthood. On August 23, 1969, Patricia married Elson Hamlet. Though they divorced after 18 years, Patricia and Elson continued to co-parent their daughters, Angelique and Syreeta into adulthood. In 1985, Patricia moved with her daughters, Angelique and Syreeta, to Newark, Delaware. Patricia and Syreeta moved to Seffner, Florida in 2014. In 2016, she moved to Greensboro, NC to live with her daughter, Angelique. Patricia was preceded in death by her parents, John and Inez Adams; brothers, John Jr., Larry, Jerry and Jack; sisters Ilithea, Mildred, Ida Jane and Katherine; and grandson Alexander. Patricia is survived by her daughters, Angelique and Syreeta; grandson, Anthony Hamlet; brothers, Tyrone and Michael; Sister Carol; brother-in-law, Richard; sisters-in-law, Mary, Marilyn, Ilene, Camille and a host of nephews, nieces, cousins, and friends. All of whom she adored. A celebration of her life will be held on Saturday, December 1, 2018, 2:00 pm, at Triad Cremation & Funeral Service. The family will receive friends from 1:00 -2:00 pm prior to the service.